10 Foot iPhone 4 & 5 Bungee Charger Kits Just $4.99 (Reg. $24.99)! You are here: Home / Great Deals / 10 Foot iPhone 4 & 5 Bungee Charger Kits Just $4.99 (Reg. $24.99)! 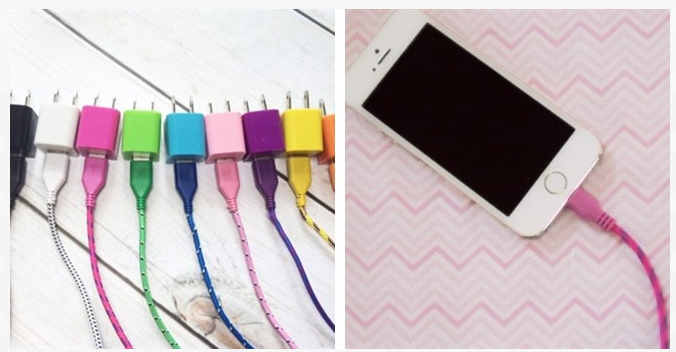 Needing a longer cable for your iPhone? Check out this 10 Foot iPhone 4 & 5 Bungee Charger Kits on sale for just $4.99 (Reg. $24.99)! Shipping is $3.99 for the first item and $1.99 for each additional item! These would make awesome stocking stuffers, too!